There are times when things don’t seem to work out well for us in our marriages. We’re all busy with balancing the budget, doing daily chores and being productive at work that we often neglect our partner and relationship with God. Juggling all these tasks can be a burden sometimes, which often drags us down emotionally. It can even lead to a discussion with our partner that sometimes make us say things that we don’t really mean and end up hurting them. Also, losing that precious time of praying to God, and instead of finding comfort in Him, we may blame Him for all the hardships that we’re experiencing and trials that we can’t figure out. All of these random things that we’ve been carrying on our shoulders can’t be avoided. But trust me, we have the strength through God to handle them well. Instead of focusing on those things and looking at these responsibilities as a burden, why don’t we spend the time to lay it all out to God along with our partner, and pray for His guidance to help in carrying the yoke? Instead of blaming our partner and fighting with them, why not find a verse or pray together for strength to get through difficult times together? You may think your situation is grim, but trust me, it is possible. Remember, God gave us our husbands and wives to be our life partner and when joined together through Christ, we can do accomplish all things. To help us with the daily challenge that we, couples, face we had an idea of creating a special box that we called the rescue box which helps us at our lowest times. Think of it as a first aid kit for marriages. 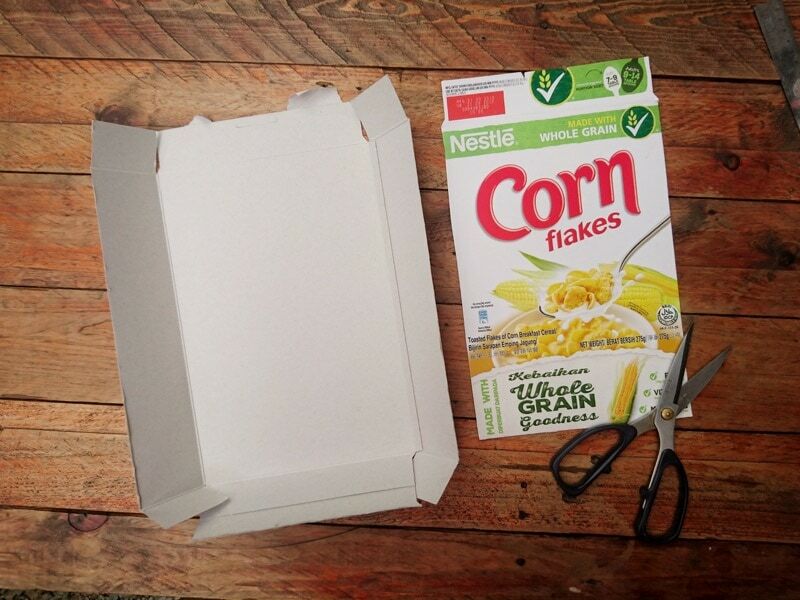 Step 1: Cut one of the biggest sides of the cereal box and lay it flat and opened. Using a ruler, measure the width of area A. Now get the length of the biggest are of the cereal box, less the width of area A, the divide it to 2. This will be the size of area B. Now mark the biggest part of the cereal box similar to the photo. Step 2: Cut off the dotted lines and fold on the lines. 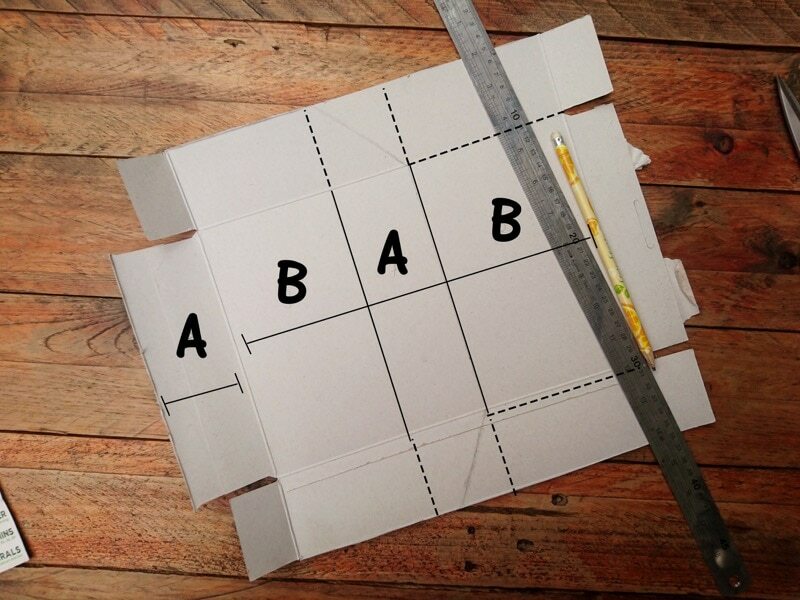 You’ll now have the box pattern ready. 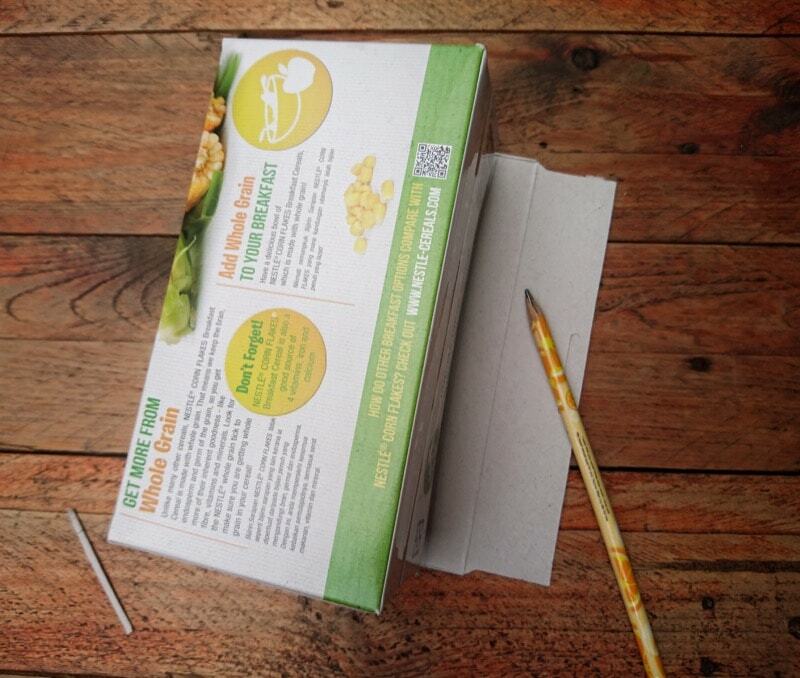 Step 3: Glue the flaps to finish the box. 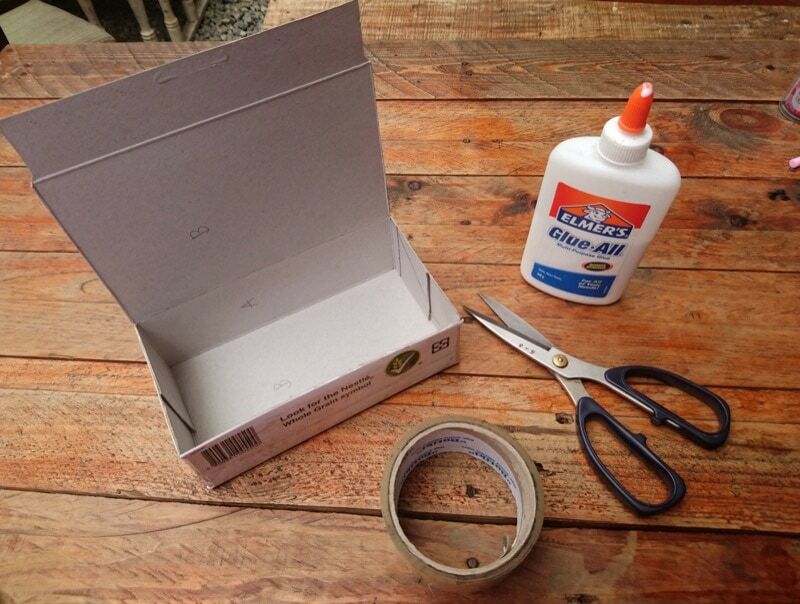 You can also add tape on the sides to secure it. 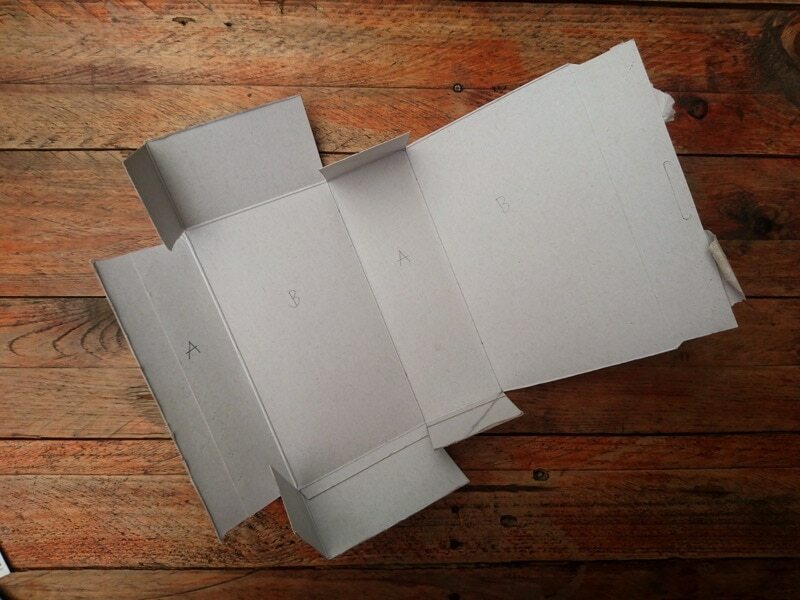 Step 4: Measure the cover to match the size of the box, draw a line and fold it. 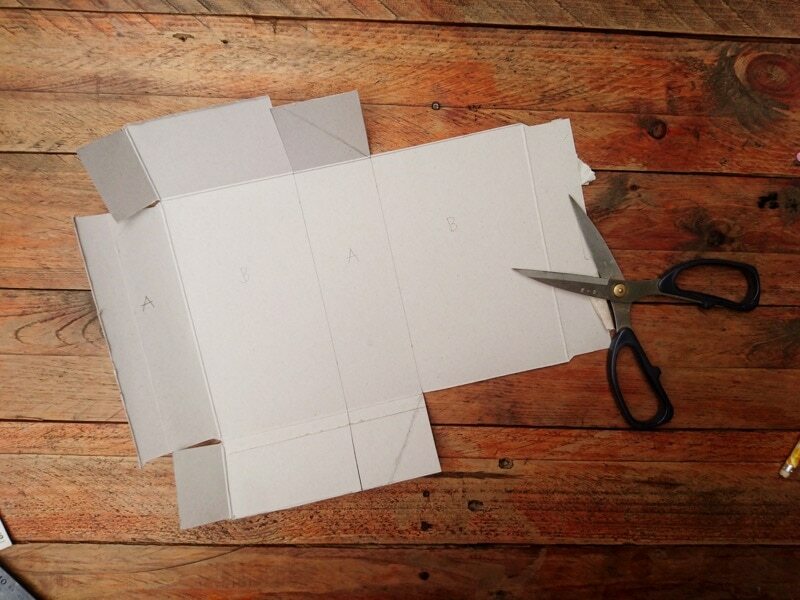 Don’t forget to cut the excess flap, now you have a box! 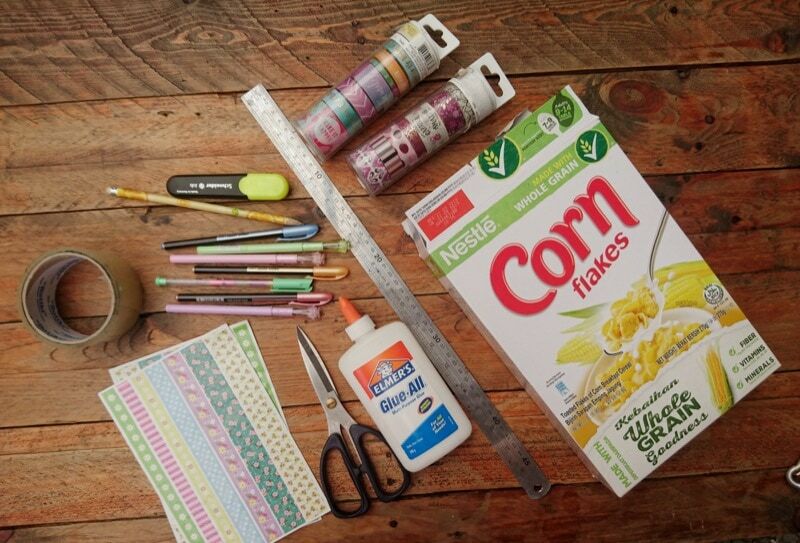 Step 5: Ready your decorative materials and get creative in designing your box. 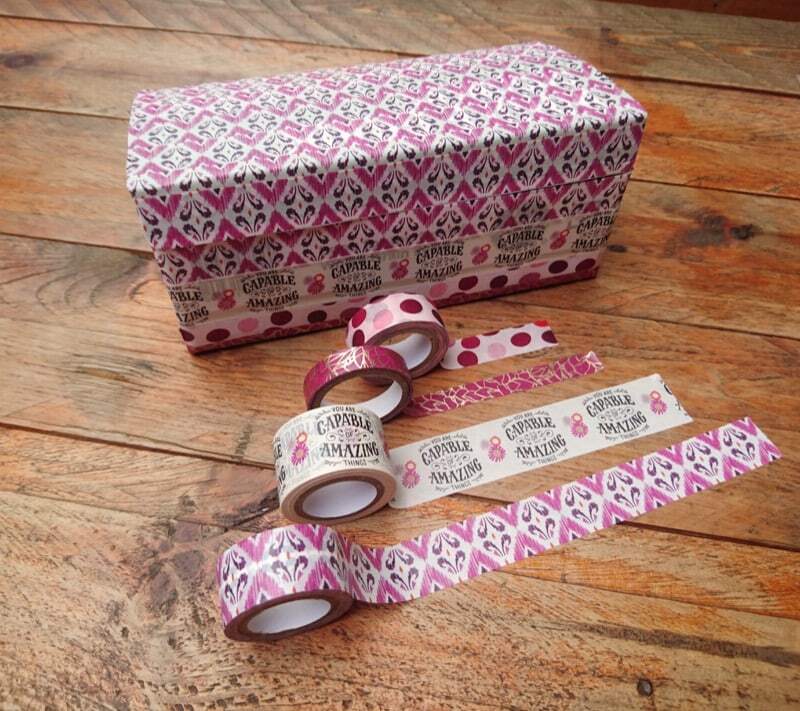 In this case, we used some washi tapes. 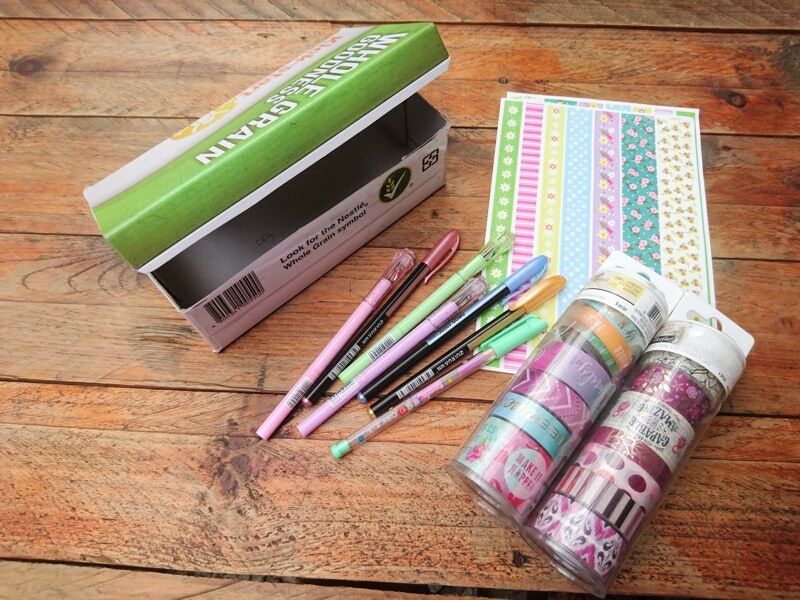 You can also use stickers, gift wrappers or anything that you have or want to use. 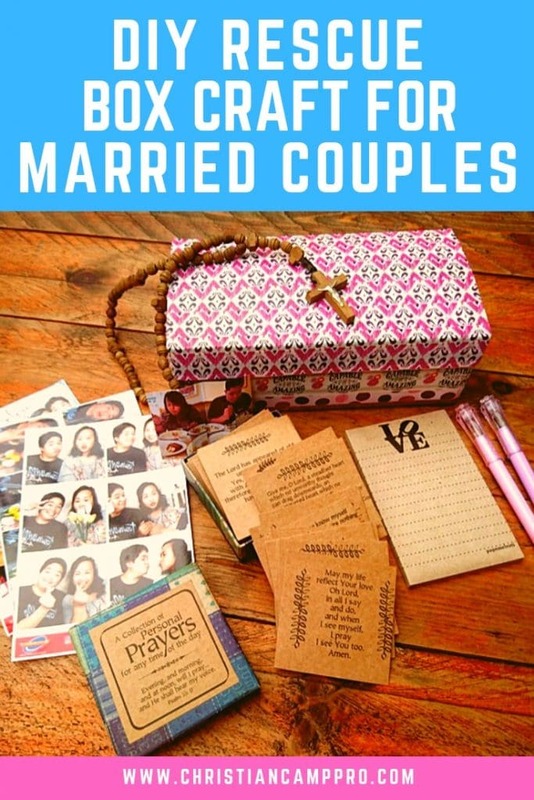 Quirkiest or cutest photo of you and your partner together – During those time that you’re fed up with your partner, just look at these funny photos and be reminded of how you both love each other. Find the funniest photo of you two together for a good laugh. Rosary – We’ve included the rosary to represent God and to remind us that God should be the center of any marriage. 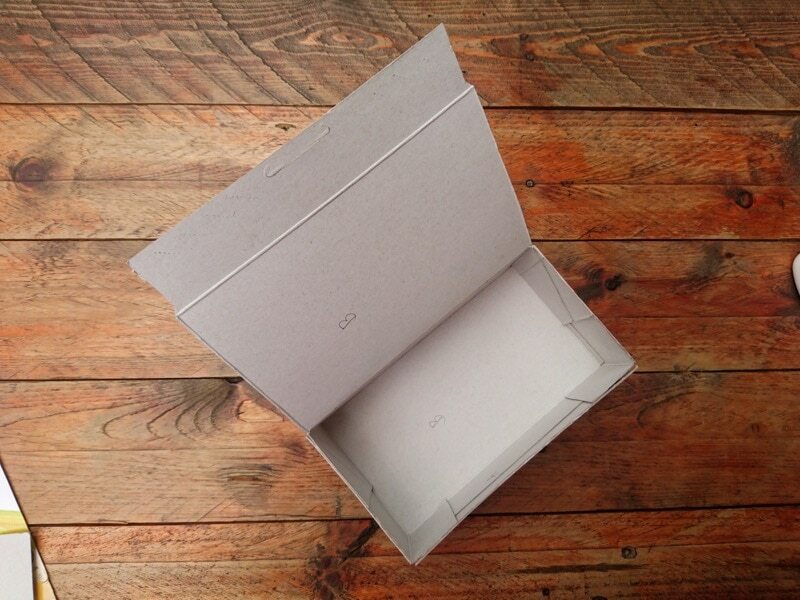 Grab this box when you’re feeling down and doesn’t know what to do. 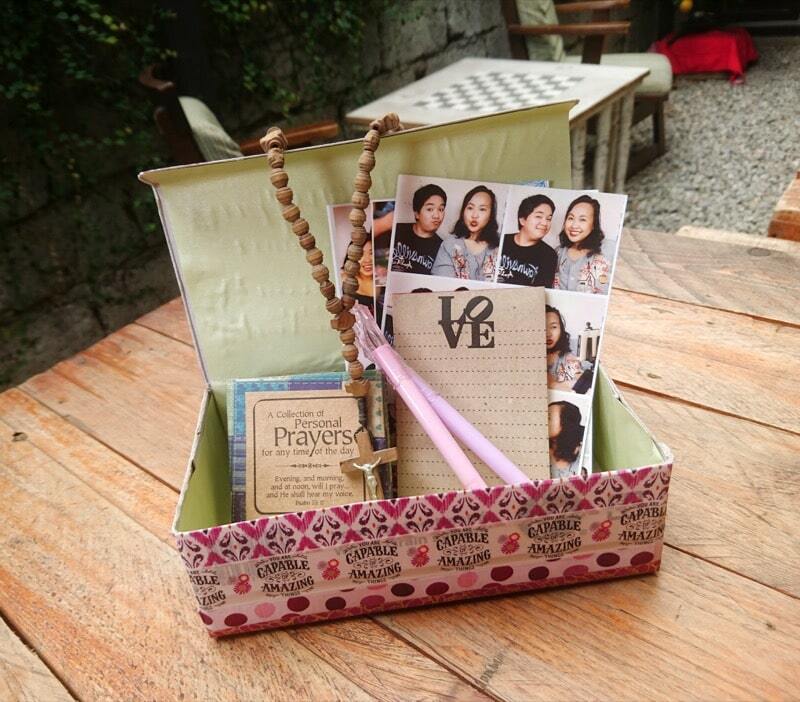 You can also use this box to remind yourself of the relationship that you have to keep with God as well. Printed prayers & Bible verses – you can gather all your favorite verses, quotes and prayers and print them in small cards. Put it inside the rescue box because you’ll never know when these little cards will come in handy. We’ve included a collection of prayers that we bought online. 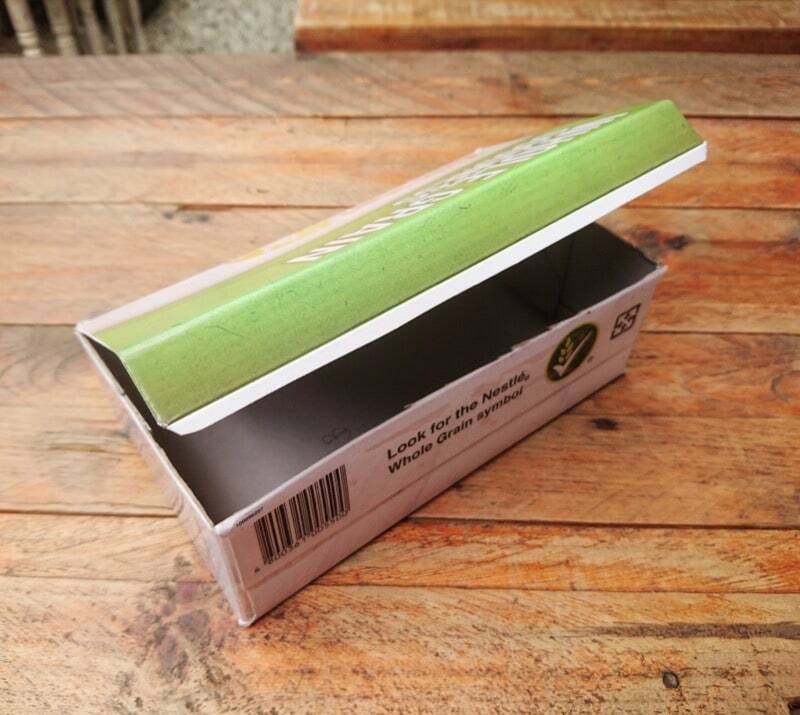 Memo pad & pens – I believe that writing down your thoughts can help you release everything that’s why I’ve included a memo pad in this box. Write down anything that you want to release, or a note to yourself, how about a message to your partner that may encourage them when they need the rescue box. 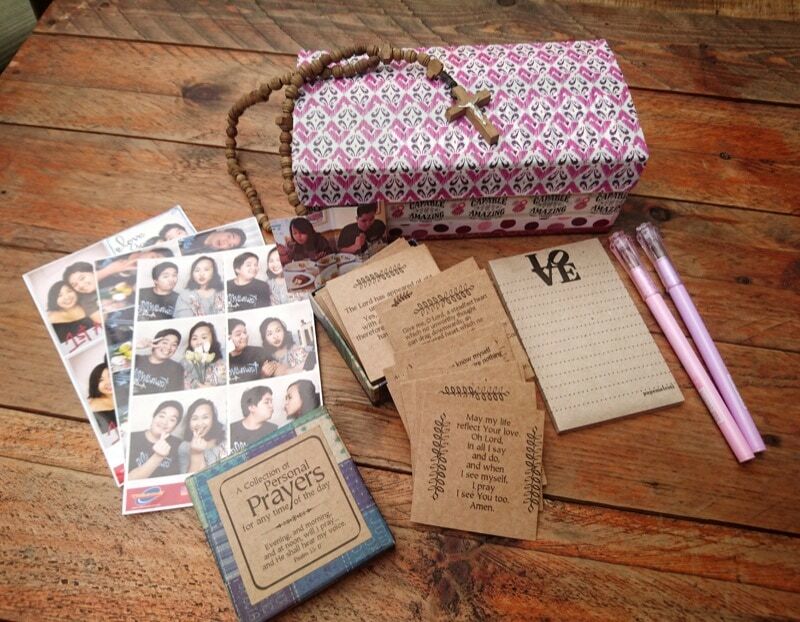 This rescue box can be personalized depending on what you think you and your partner need. I’ve suggested the following items because these for me are enough to help us during those days when we don’t know where or whom to run to. But you can add more items or tokens that you think you need. Create a rescue box for couples with your partner! Maybe doing this craft together can also help you reconnect and understand each other more. Make it a habit to write down happy memories and put it inside the rescue box as well to remind both of you of the happy days as well. The materials I used are all affordable and readily available, so what are you waiting for? 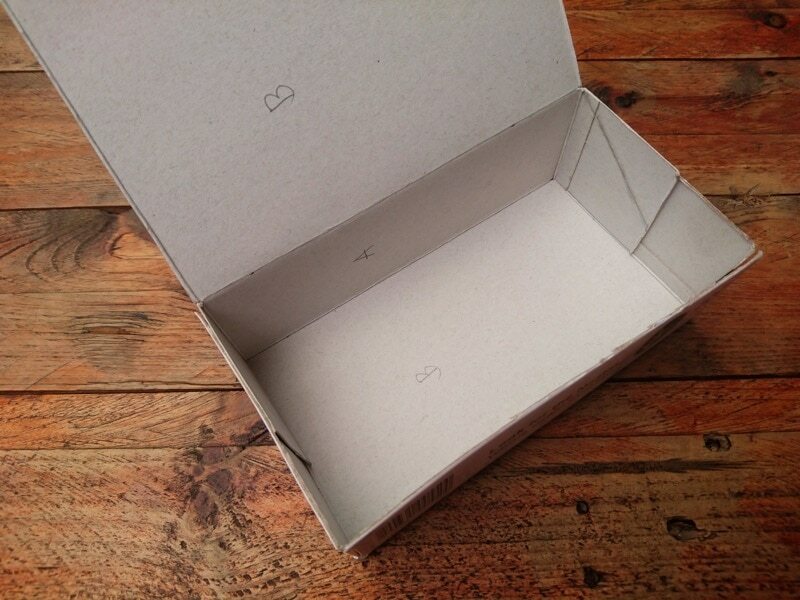 Call on your partner and start doing your own DIY rescue box for couples! Ps. A rescue box is also perfect for teens, kids, men, and women. Just change the contents according to who needs it. 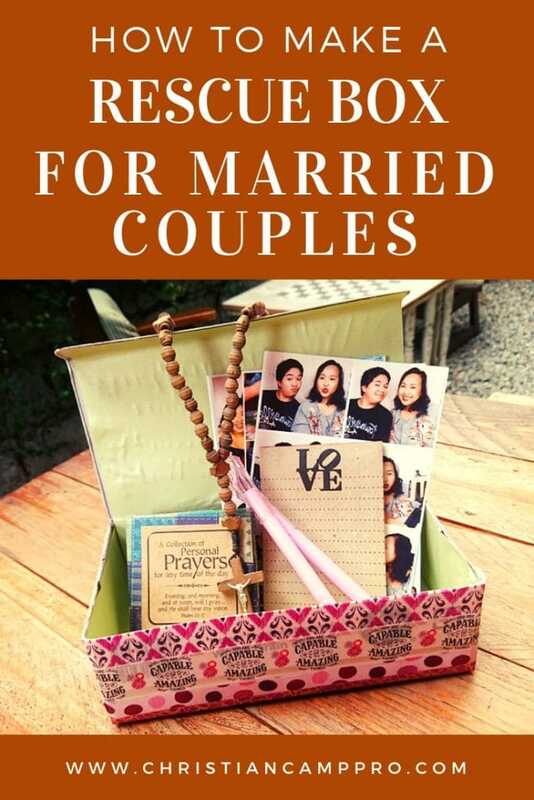 Special thanks to Faholo Conference Center for making this married couples craft article possible.